"It is curious that the phenomenon seems to have left Gujarat, which is something of a laboratory for fleshing out the right-wing majoritarian imagination, untouched." When Karan Acharya, the 25-year-old graphic designer from Kerala’s Kumbla village, created the 'Angry Hanuman' poster, he didn't expect it to become a rage across India. Three years after Acharya's version of the erstwhile gentle and rosy-cheeked servant of Lord Rama-- a dark, hyper-masculine, nefarious-looking, Hanuman designed in ominous shades of black and saffron-- has taken over India's cities. The 'Angry Hanuman' is now seen on windscreens of cars, visors of motorcycles, the backs of auto-rickshaws, buses, walls, shop-windows and even t-shirts and watches. But is this a symbol of the new face of hypermasculine Hindutva in India? Well, Acharya didn't intend it to be. “I designed the face in 2015 for a group called Aryan that my friends were running. They wanted a new look for their flag and so the ‘angry Hanuman’, as everyone is calling it now, was born,” Acharya, told News18 in a telephonic interview from Kerala. He added that he wanted to draw Hanuman with a twist so he gave it ‘attitude’. It was never meant to be read as aggression. “My Hanuman has attitude, not aggression. He is powerful, not oppressive. But that’s the problem with art. There is no limit to interpretation,” the artist said. But one cannot deny that symbols are physical manifestations of an idea, ideology, belief or abstraction. And, somehow, the 'Angry Hanuman' seems to have become the country's new symbol. The trend was first noticed in Bangalore in 2017 when residents reported a virtual sea of angry Hanuman stickers stuck on almost every imaginable surface of the city. By now, the image has spread to North Indian cities and has also been appropriated by saffron organisations such as the Bajrang Dal. Many, especially the youth, feel that Hanuman’s makeover is an indicator of the rise of an extremist Hindu identity in India. “I completely understand that symbols can be interpreted in various ways but it is so hard to not relate this to politics and political ideology. The fact that it is black and saffron and already the new face of outfits like Bajrang Dal is very scary,” said Shivangi Sinha Roy, a 24-year-old journalist based in Delhi. Delhi resident and content writer, Akansha Sharma, feels that it clearly is ‘saffronist propaganda'. “Every time I see these stickers, I am reminded of two things - the expression of saffron nationalism. And not just by a nationalist, but by an angry ‘mard’ (man)," said Sharma. Some, such as B.A final year student Rohan Basu from Kolkata, feel that the 'angry Hanuman' is a classic example of ‘thin religion’, an idea expounded by noted political thinker and scholar Sudipta Kaviraj in which traditions, symbols etc are created by refurbishing and contextualising older, existing traditions, symbols and markers according to present needs. "Here Hanuman becomes the mascot of reclaiming the masculinity of a nation emasculated by the Muslims, British, and the Congress,” Basu said. The idea that images cannot be treated as having a concrete meaning is echoed by Harmony Siganporia, Assistant Professor teaching Culture and Communication in MICA. “Images, by definition, are polysemic - they mean many things to many people since each of us carries our own 'context' into any engagement with them. To reduce a polysemic image into a single story is problematic. 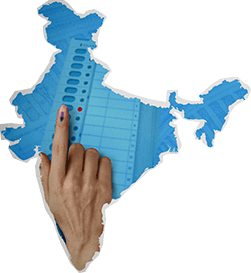 Could it serve as a visual marker of the rise of a certain kind of majoritarian Hindu political identity? Of course. Is that all it is? I don't necessarily think so,” Siganporia said. 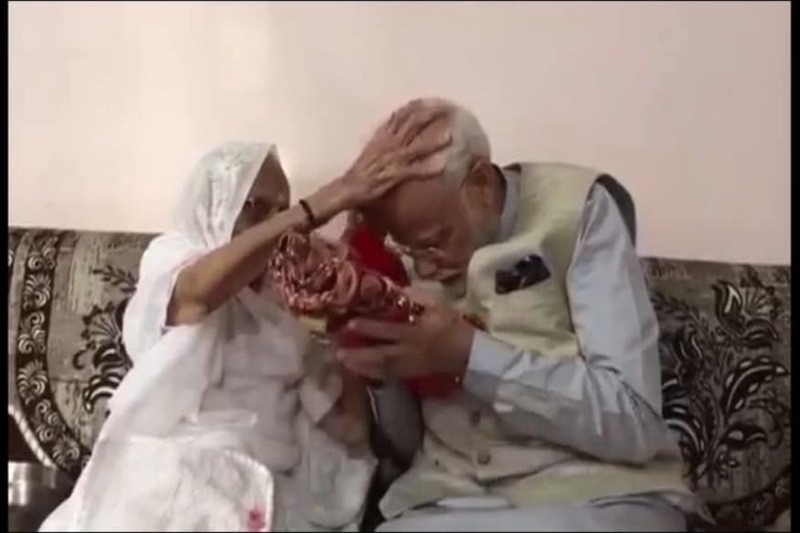 Siganporia, who holds a PhD in social history, adds that though it is hard not to associate the image with what she calls a ‘growing assertive/aggressiveness in urban middle-class India’, which seems to have spurred after the 2014 general elections, there were instances of the image being used for other causes. “I recently read about an extended family in Delhi which has decided that this image means, to them, a Hanuman angry with poverty and hunger, and under its banner, they serve free food to hundreds of people in the city each day. So images can be - and are - negotiated and renegotiated on a routine basis, which makes it difficult (and reductive) to attempt to anchor them in - only - one way,” she said. The family Siganporia was referring to operates out of a temple close to Delhi’s INA market and has distributed over 20,000 ‘angry Hanuman’ stickers across Delhi. The professor also questioned the ‘pan-India’ aspect of the trend. “It is curious that the phenomenon seems to have left Gujarat, which is something of a laboratory for fleshing out the right-wing majoritarian imagination, untouched. I have also not found mentions of many takers for ‘angry Hanuman’ in rural India. It could be that the image is a cultural marker embedded in a certain kind of urban setting,” she said. 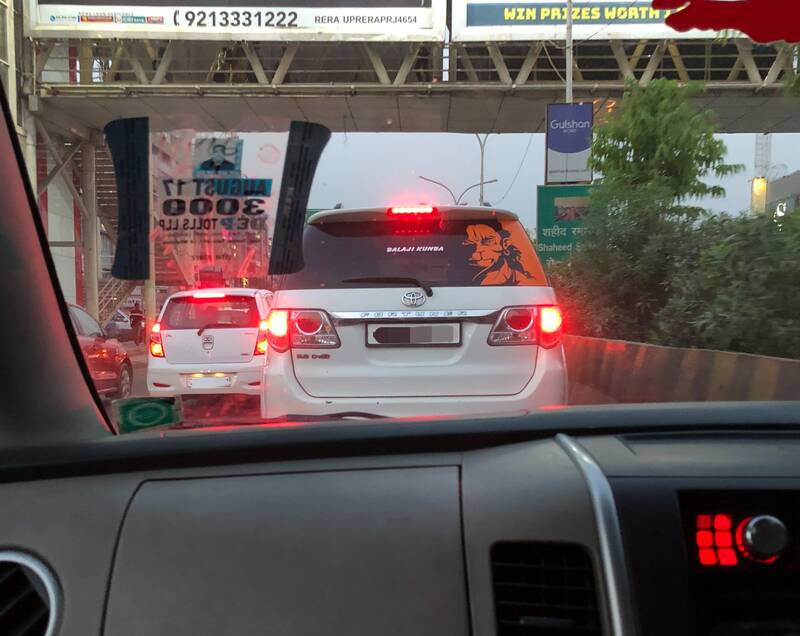 The 'angry Hanuman' stickers can be bought from auto-parts and sticker shops across Delhi or even online and are especially popular with taxi drivers and young men riding motorcycles. They can be seen in high density in Noida and Gurgaon as well as across other parts of Delhi such as Lajpat Nagar where retailers sell the stickers for Rs 300 apiece. It is to be noted that Karan Acharya, the designer of the image, gets no official royalties or credit from the manufacturers of the stickers. "My friends put the logo on as their display pictures on social media platforms. I have no idea how it became so popular across India. It's okay if I don't get royalties for it. As an artist it makes me happy to see my work being used by people, for whatever reasons it may be so," the young artist asserts. But, why are more and more people using this particular image on their cars and bikes? While there seem to be many reasons for the popularity of the image, easy availability and resonance with existing role models may be the biggest incentives. “I put the sticker on because a lot of other drivers were putting it. You mostly find these in Gurgaon. There are these bunch of men selling them on the road,” Parveen, who drives an Uber in Delhi NCR said. Yet another Delhiite, 26-year-old Subham Singh claims he sports the sticker because he is a ‘Hanuman-bhakt’. “I like the sticker. It was a new look for Hanuman and I thought it was very catchy,” Singh said while proudly eyeing his bike’s decorated visor. Meanwhile, there are some who feel that the Hanuman’s new look is just a revamp of Indian cultural icons. “It is just a Christian reading of a known Indian symbol,” claims Bangalore based Premangshu Bhattacharya, who works in advertising and has been a student of Film Studies. “The sense of light, the metaphors, and the glaring close-up. Does he look one-bit 'pavan-putra' to you? No! He is a Roman God seeking vengeance on a Friday night in a packed theatre,” Bhattacharya states. 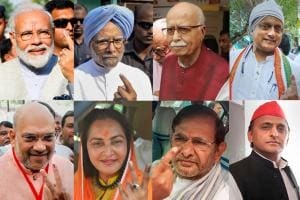 While it is easy to dismiss trends in a social media savvy world that lives on replaceable hashtags, the resonance of the ‘angry god’, whether an expression of extremist right-wing politics or a marker of the ‘assertive - aggressive - strain in the urban Indian zeitgeist’ as Professor Siganporia calls it, is indeed a phenomena that we cannot choose to ignore. However, it may just be too much of a stretch to call it the 'new face' of modern India, yet.